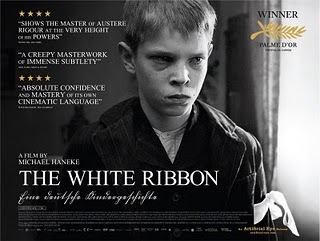 “The White Ribbon” is the latest film directed by Michael Haneke, one of Europe’s most highly regarded directors. The film has already won the Palme D’Or at Cannes, an honor that has even impressed the typically nonplussed Haneke. As of this week the movie has also won the Golden Globe for best foreign film. The White Ribbon tells the story of a series of violent and unexplainable incidents in a small German village on the eve of World War I. The film was shot by fellow Austrian Christian Berger who has collaborated with Haneke on several prior films including “Benny’s Video”, “Cache”, and “The Piano Teacher”. The new film, shot in a lush black and white, has a very distinctive look, which is why the cinematographer has been dispatched to help publicize the film. Mr. Berger was in New York City to receive an award from The New York Film Critics Circle for his work on “The White Ribbon”. I had the pleasure to sit with the celebrated cinematographer at the Regency Hotel a few hours before the ceremony to discuss that film, his work with friend and director Michael Haneke, and anything else that came to mind. Adam Schartoff: Can you describe the earlier years prior to your collaboration with Michael Haneke? Christian Berger: I started as an assistant on the set, then went into news gathering; everything was in black and white then. I grew up with black and white in the end of the 60s and into the 70s in 16mm. Then towards the end of the 70s everything went to video. At that point I started working on a lot of TV plays and documentaries which I still do and love. I think it’s a very important counterpart for the [narrative feature]. Then I did my own feature films, three of them. Around 1990 I thought that enough was enough; I preferred to focus on the camera as my main thing. I created my own lighting system, having had bad experiences in the past with what you find in the field. With this lighting system, it gave the actors and directors freedom on the set; they would no longer be under technical dictate, which I hate. 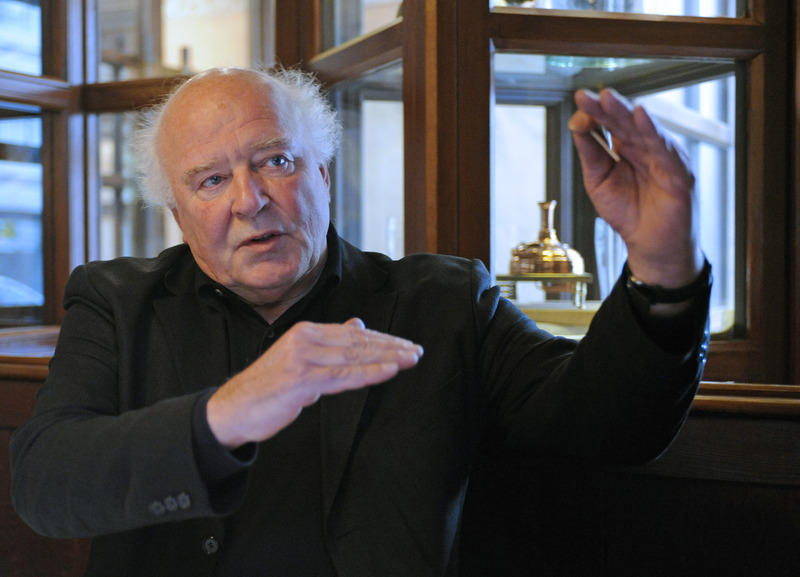 AS: And that all changed when you started working with Haneke. Berger: I started this new lighting system during the making of “The Piano Teacher”. In the beginning of 2000 I started with self-built prototypes. To have a free set with no heat, no glare, or a reduced glare—some glare is inevitable. But it allowed the actors freedom. AS: Do you consider yourself a storyteller, even in the role as a cinematographer?